Saturday dawned with steady rain, causing us to wonder whether the planned projects would be delayed. We enjoyed a hearty breakfast prepared by the kitchen team heard testimonies from the JFBC team. 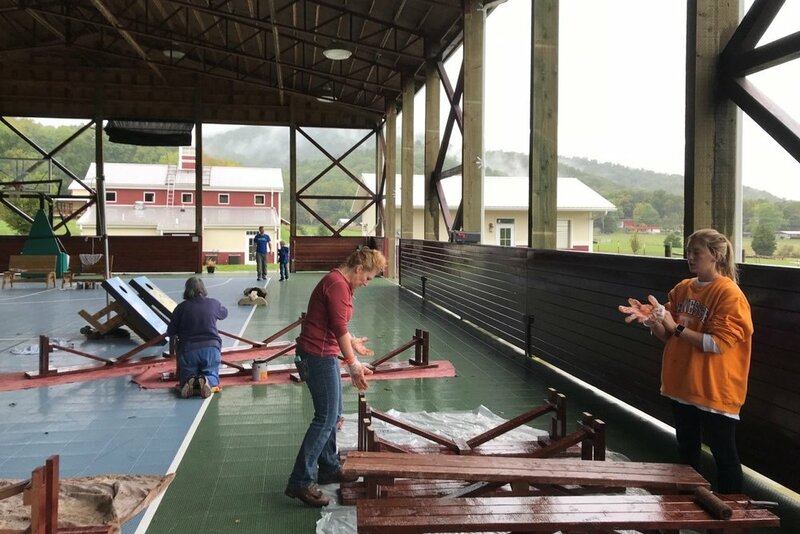 By the time we were ready to begin the projects the rain had not stopped, but since some of the painting and staining was in the covered outdoor gym and in a cabin we went ahead with those projects. 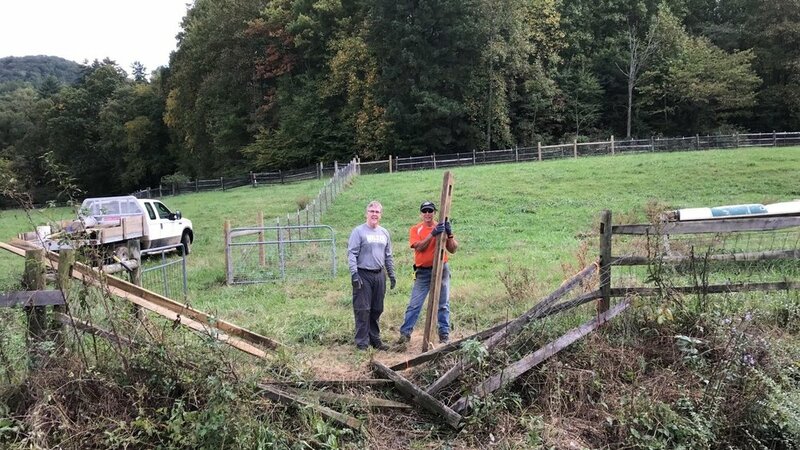 The rain ended before lunch and so we were able to complete the other fencing, landscaping, and tree removal projects, in spite of the rain delay! Hearing the testimonies of some of the children at the Ranch was certainly a highlight of the trip. 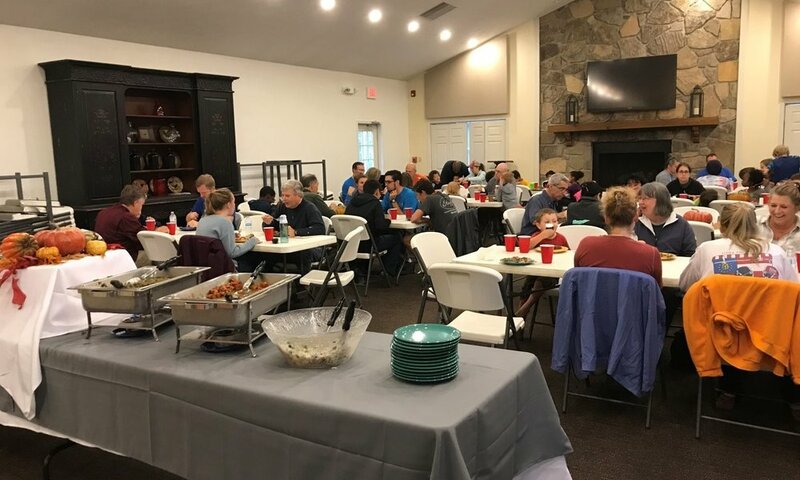 Many of the children and staff joined us for meals, giving us a chance to hear various testimonies and often to share ours as well. At one dinner table, two 11 year old boys shared how they had come to Christ recently here at the Ranch. Sunday morning another young man shared with the whole group how he had come to the Ranch from a troubled home and had also come to Christ here. It is a joy to hear how the Lord has used the Ranch to bring children to faith in Him and to help them handle some of the difficulties from their backgrounds. 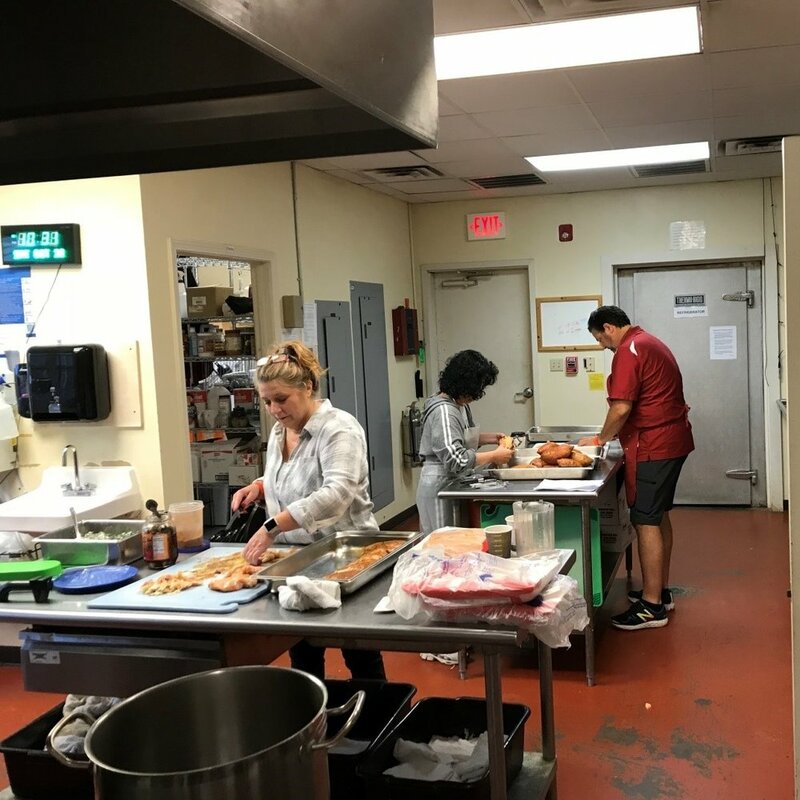 The kitchen team ministered to both the JFBC team and the ranch with their ‘ministry of meals’—drawing the staff and children to share wonderful food and fellowship with us. Not only did all of us enjoy eating the food, but the project load seemed lighter with such great meals to look forward to! We shared a great time of worship and observance of the Lord’s Supper on Sunday with the congregation that meets there in the new chapel. The Ranch does not take on debt to build, but rather does the work as the funds become available, so we have watched the chapel take shape over the past couple of years. It was great to worship in it for the first time on this trip! After a fellowship meal with the church we headed home, blessed by being part of this ministry to children. Newer PostGod is Moving in Japan!